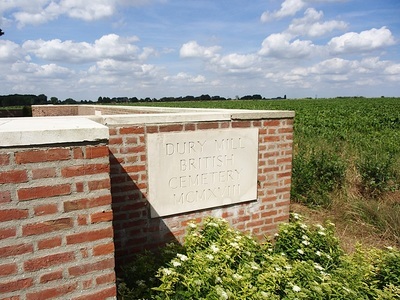 Dury is a village in the Department of the Pas-de-Calais, 1 kilometre north of the straight main road (D939) from Arras to Cambrai. Approximately 16 kilometres from Arras travelling towards Cambrai on the D939 is the Canadian Forces Memorial at Dury. 300 metres after the Memorial the Cemetery is signposted to the left towards Dury village. 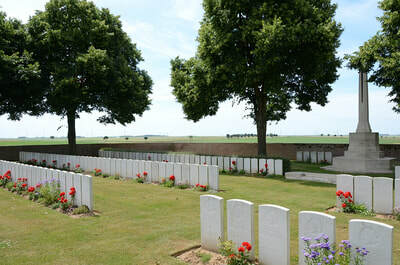 It is located in open fields, and is approached along an unsurfaced track about 500 metres long. 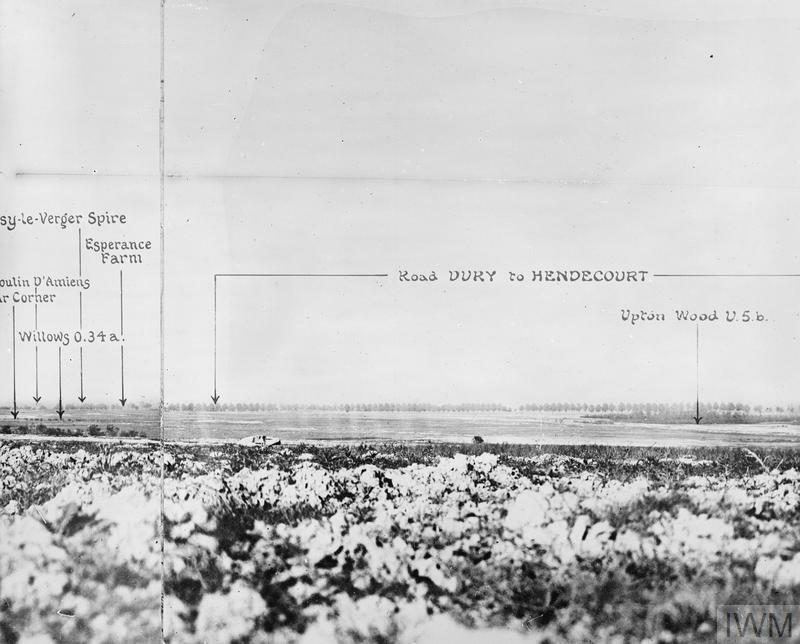 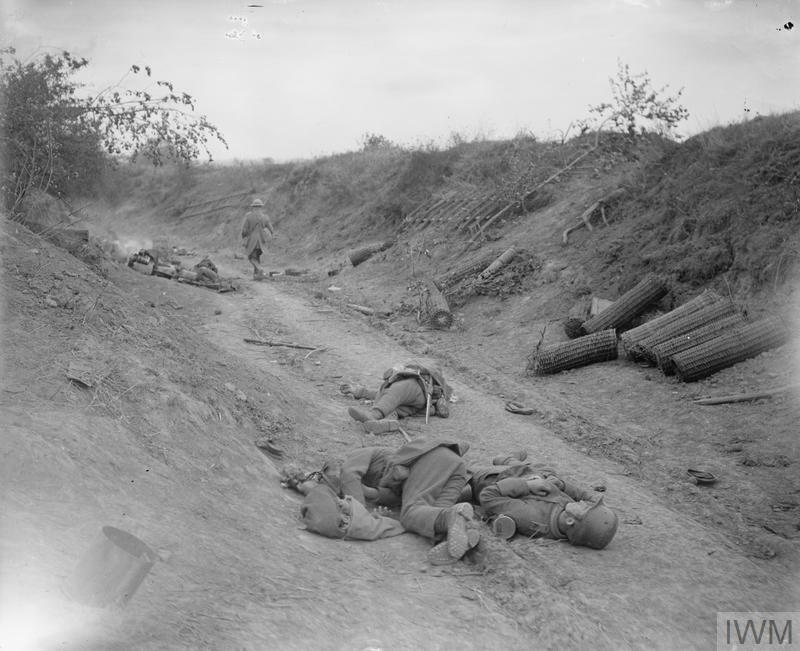 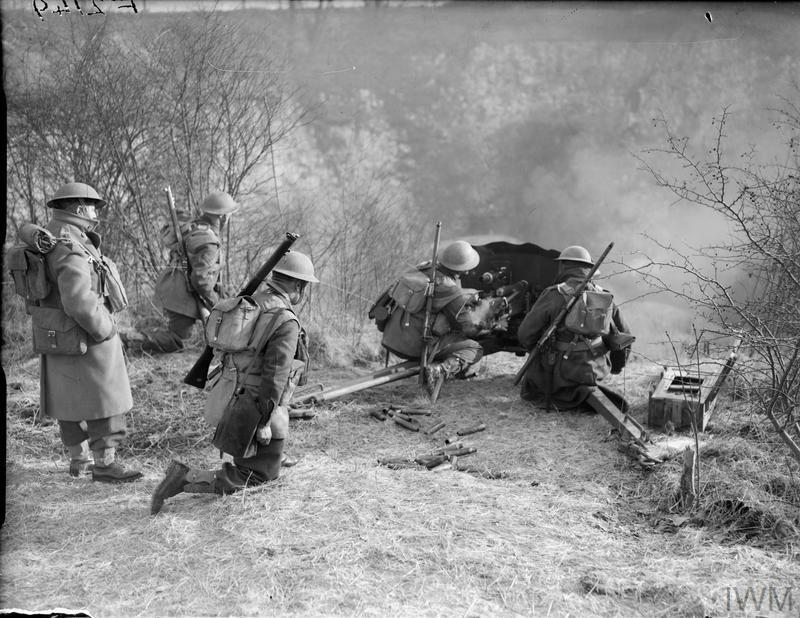 In August, 1918, Dury was behind the German defence system known as the Drocourt-Queant line; but on the 2nd September this line was broken by the Canadian and XVII Corps, and Dury village and the hill just South of it (Mont Dury, or Dury Ridge) were captured. 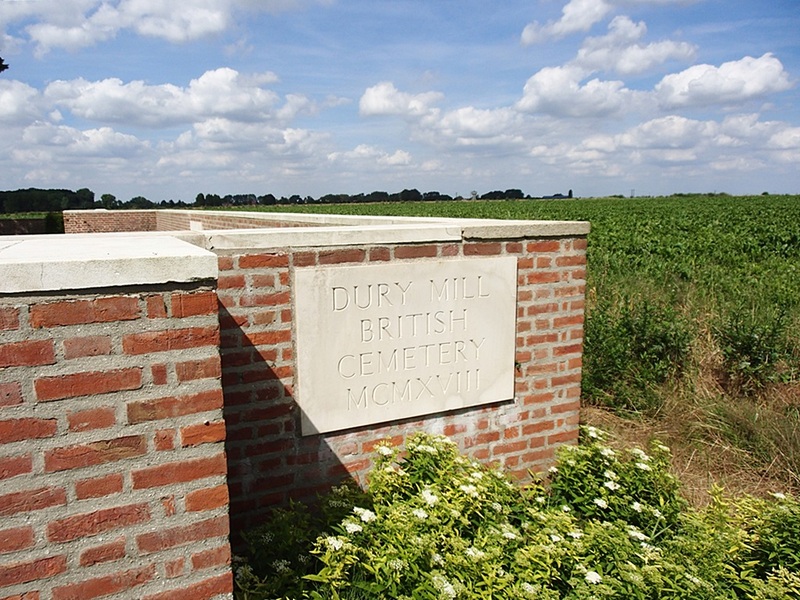 The Mill (Moulin Damiens) stood beside the road from Dury to Villers-les-Cagnicourt, and was destroyed. 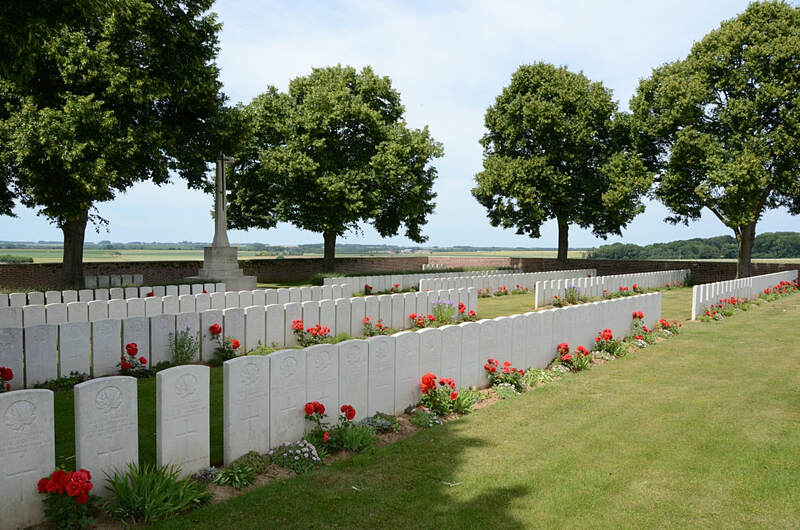 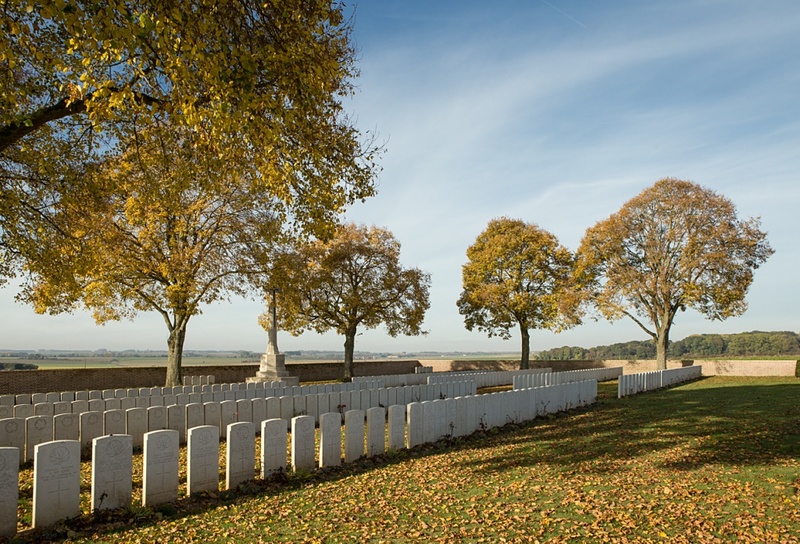 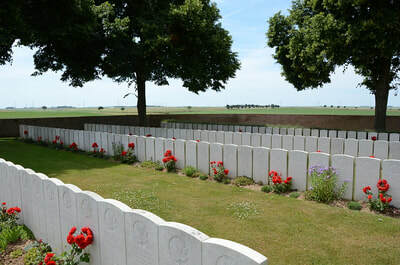 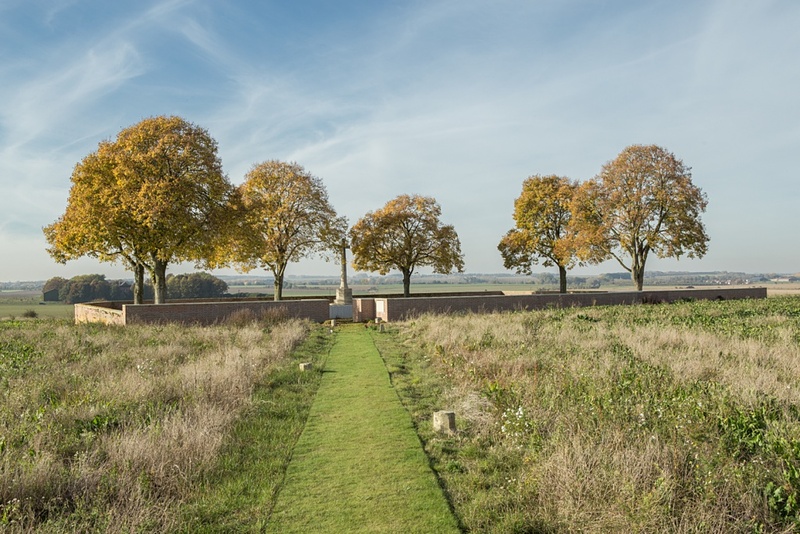 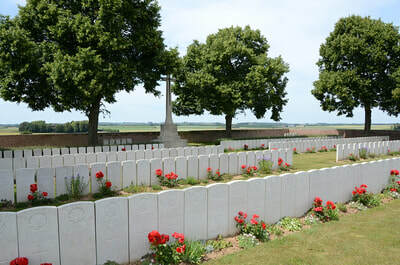 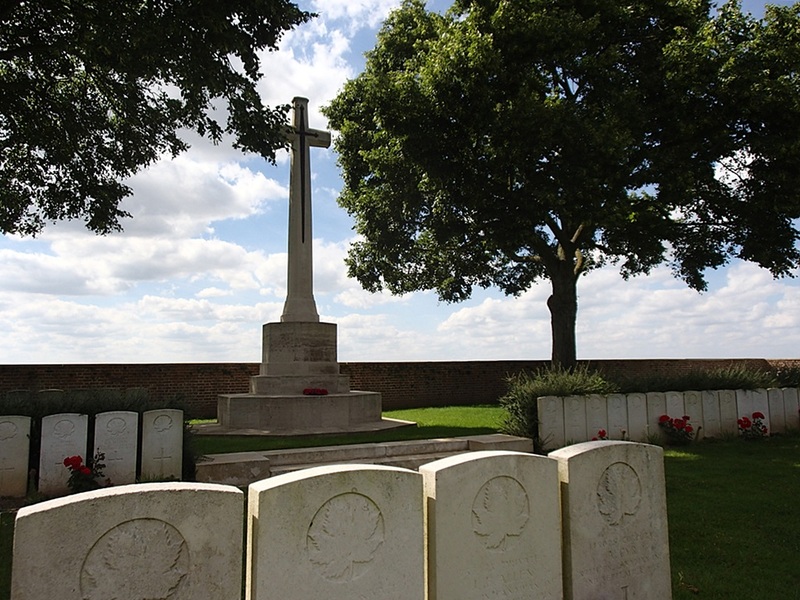 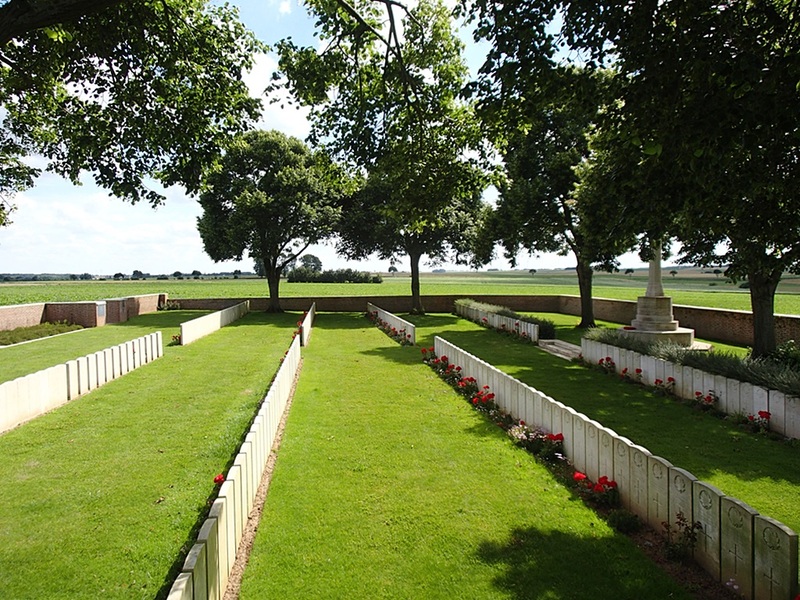 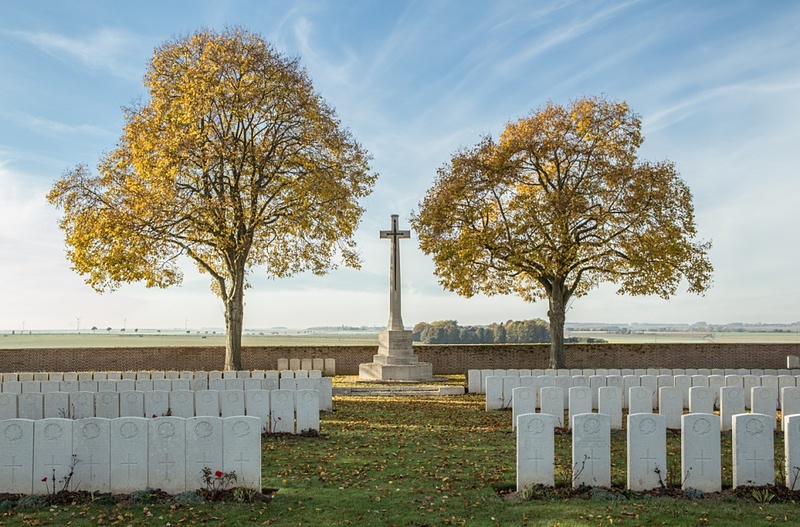 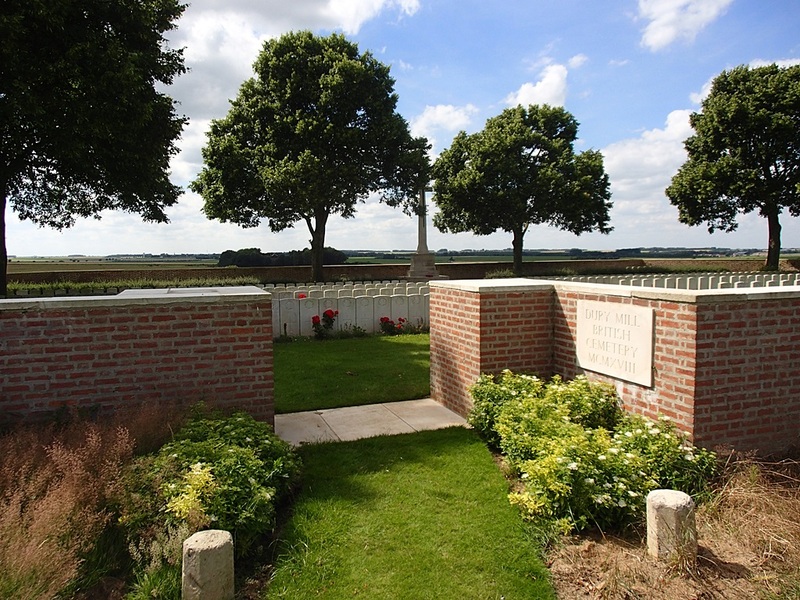 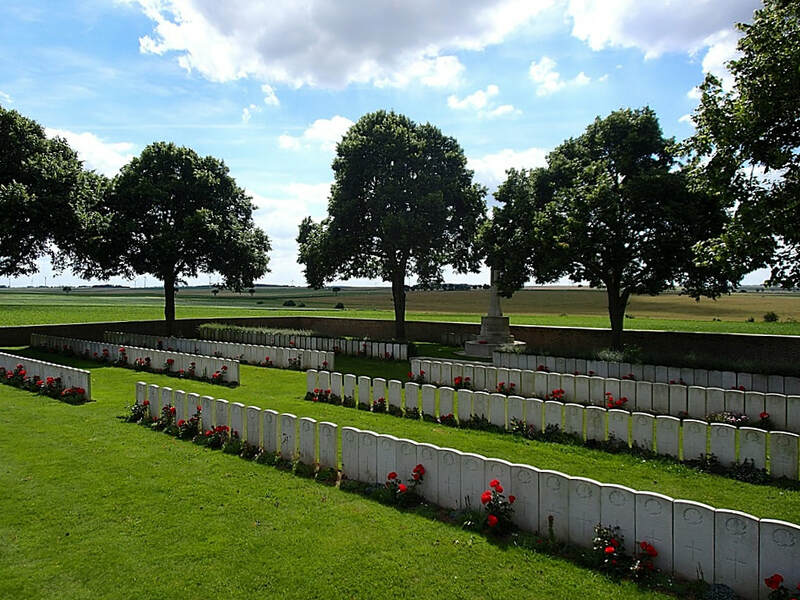 The cemetery was begun by Canadian units on the 5th September, 1918, and closed sixteen days later. 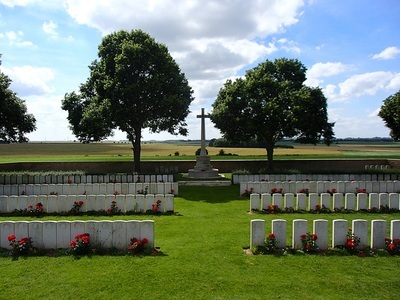 There are now 337 First World War casualties buried in this cemetery. 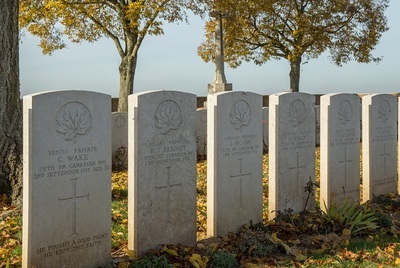 Of these14 are unidentified. 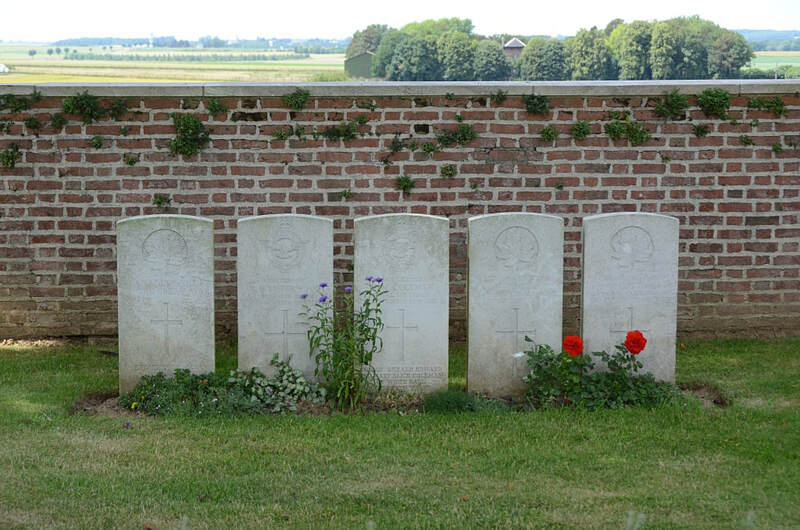 Died on 2nd September 1918, aged 22. 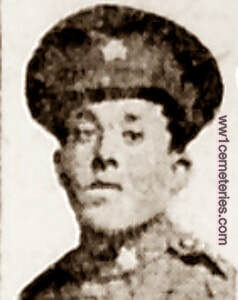 ​Died on 2nd September 1918, aged 25. 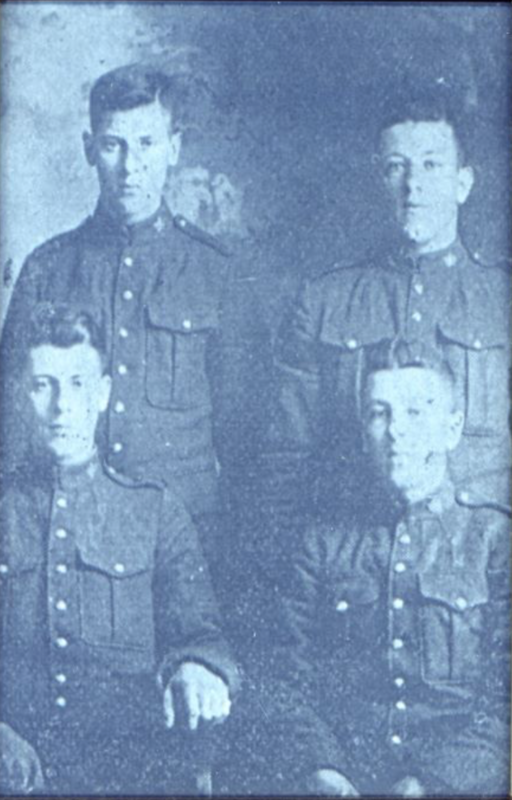 Sons of Mr. and Mrs. William A. 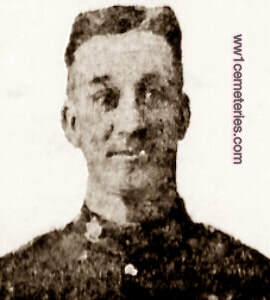 Bell, of Kincardine, Ontario. Four brothers who entered the war together, but only 2 made it home to Canada. 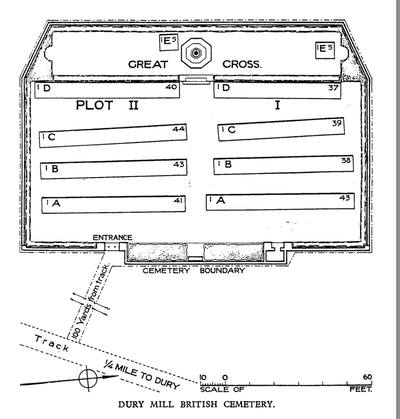 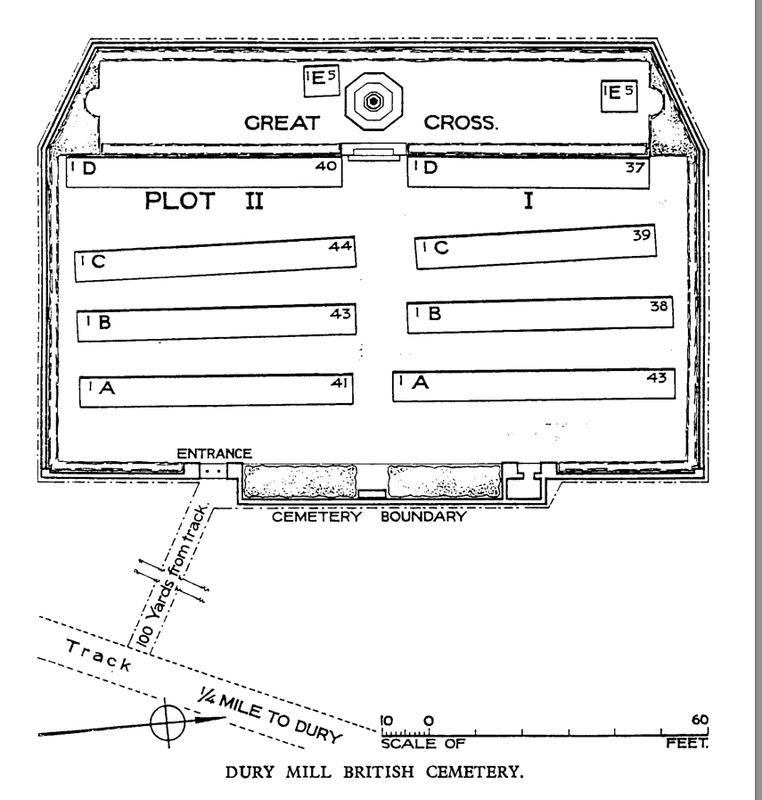 The other 2 are buried at Dury Mill, both falling the same day within minutes of each other on Sept. 2nd, 1918. 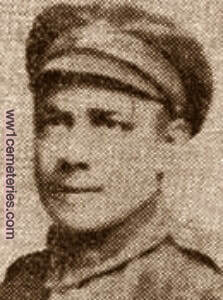 2nd September 1918, aged 39. 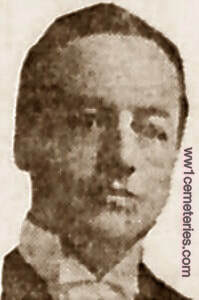 Son of the late Robert and Elizabeth Brown, of 3, Fenwick Grove, Morpeth, England; husband of Ruby May Brown, of 211, Arizona Avenue, Santa Monica, Califomia, U.S.A.
His headstone has the following inscription; "To die thus is immortality." 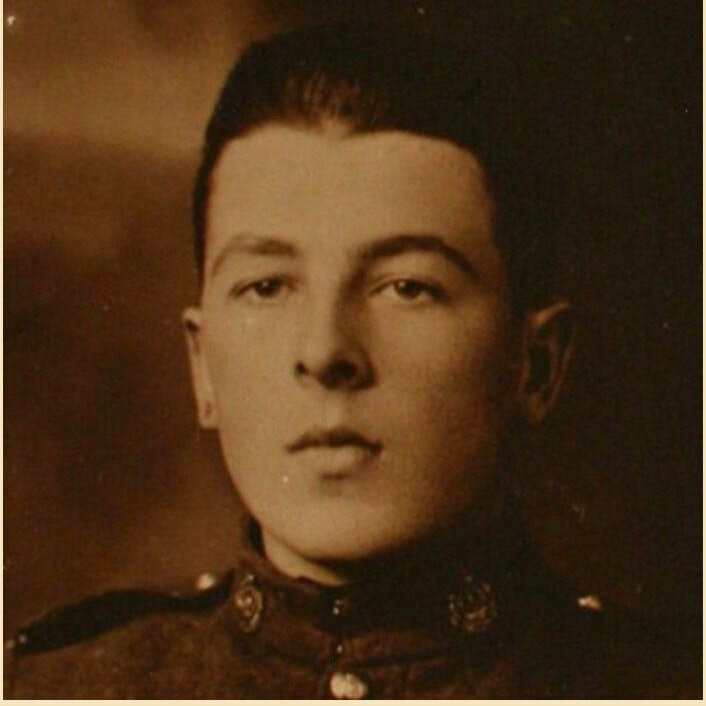 2nd September 1918, aged 18. 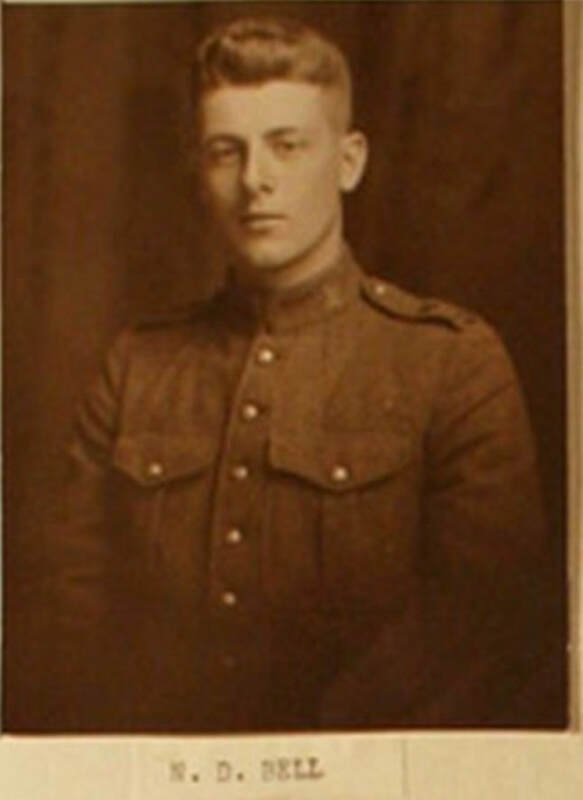 Son of Mr. and Mrs. Joseph Burbridge, of Bathurst, New Brunswick. 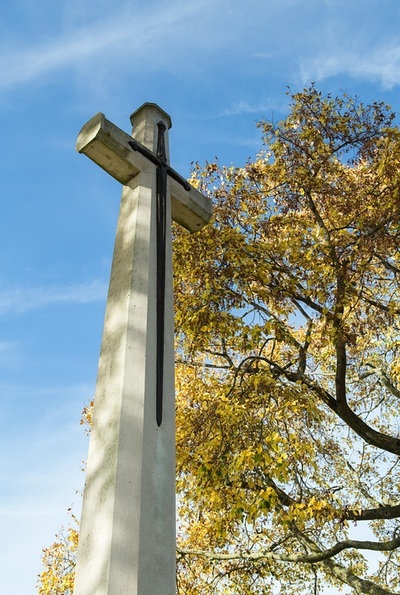 His headstone has the following inscription; "Lead thou me on The night is dark and I am far from home. Still lead thou me on." 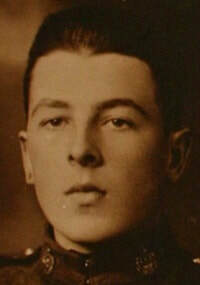 2nd September 1918, aged 20. 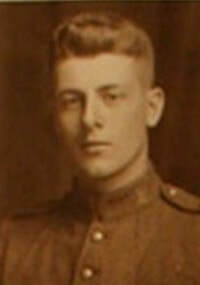 Son of Thomas and Margaret Harrison, of Harriston, Ontario.